This dish is a raucous delight, perfect for the day before Super Bowl Sunday. While it only takes a little more than an hour to make, you'll still be satisfied by the amount of energy that went into it. 1. Set lights to low. Put 3 skeletons onstage and have them play a brief intro. 2. Introduce fourth skeleton draped in cloak. Turn its back to crowd and spread arms to create creepy moth effect. 4. At "Top Drawer," toss beers into air without regard for other crowdmembers. 5. Stir crowd vigorously until a mosh pit is created. 6. Toss glitter into mosh pit. 7. Dress lead singer skeleton in fur coat for a fantastic "Loot My Body." 8. Right around "Mister Jung Stuffed," you'll notice a froth forming on the crowd. Skim the top with the wildest members. 9. Put alien mask on lead singer skeleton to distort vocals for "Paul's Grotesque." 10. Dress opener as skeleton. Have her perform backup vocals for "Pink Wonton," "Head On," and "King Shiv." 12. Push the eagle's stomach. 13. Play "Born Tight." Set aside skeletons. 15. 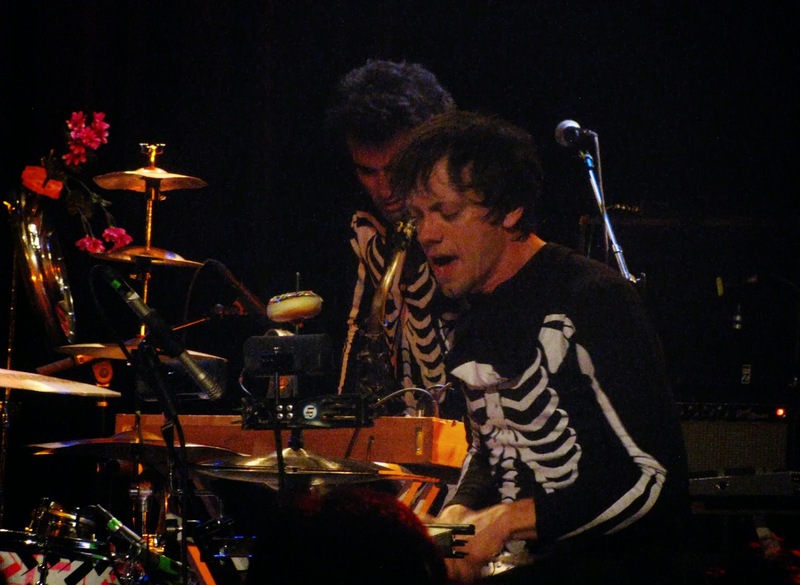 Bring back drummer skeleton. Set drum machine for "El Azteca." 16. Combine remaining skeletons with drummer. Give megaphone to lead singer. 17. Whip continuously until you smell the blood of an Englishman. If you do this right, the crowd should go nuts. 18. Garnish with "Young Einstein on the Beach."